We believe that every good idea to improve access to care should be supported. That is why we created the Pro Bono Incubator (PBI), a program designed to support sustainable development and innovations of new and existing pro bono programs in the United States. More specifically, PBI offers three core avenues of support: annual grant funding, mentorship, and additional resources to help individuals or groups who provide rehabilitation services to the underserved. Through our annual application-based PBI program, we grant $10,000 to innovative non-profit organizations providing sustainable rehabilitation services to the underserved. Learn more about the PBI program and listen to touching stories from our 2017-2018 PBI grant recipients in these 4 podcasts. Thanks to Talus Media and our grant recipients for sharing their time to highlight the extraordinary life-changing success stories coming from the What if, Why not: No buts thinking. We have a diverse network of passionate mentors ready and willing to listen, guide, challenge, and empower you as you seek to improve access to rehabilitation care in your communities. To be connected with a mentor, please email us at probonoincubator@movetogether.org. Pro bono rehabilitation services can look a variety of ways. Thus, we created the Pro Bono Playbook as a way to highlight the diverse nature of the pro bono world and demonstrate all that’s possible. No matter if you are just starting, in the implementation phase, or already part of a clinic/program, the Playbook offers insights and resources applicable to all phases and triggers new what if, why not ideas. Are you or do you know people who are making a difference through pro bono rehabilitation services in the US? Yes! How about if we said there is a way for you to extend that impact by what you are already doing? Tell me more! Wonderful! We invite you to join us, Move Together, and The Pro Bono Network by sharing the phenomenal work you are doing within your community and your around the corner impacts in our collaborative National Pro Bono Rehabilitation Outcomes collection. Why: To collectively come together for stronger and healthier communities by increasing access to quality rehabilitation medicine around the corner and around the world, we are collecting and aggregating service and outcomes data from pro bono clinics across the United States. Through this information, we can demonstrate the impact these services have on people’s lives, the medical profession as a whole, and our nation and world. The more we work together, the stronger we will grow; the stronger we grow, the healthier our communities will become. That’s why! How: It’s easy! Click on this link and fill out our survey. Sharing your outcomes starting on or after January 1, 2019 to present. We will send quarterly reminders to capture periodic updates throughout the year and years to come. Need help? If this leaves you thinking “I’m not collecting outcomes!”, “We don’t know how to collect outcomes!”, or “I need help!”, don’t worry. We have a pro bono outcomes specialist! Email probonoincubator@movetogether.org and we’ll connect you. Is funding disbursed amongst applicants or only one applicant? Multiple grants of varying amounts are awarded each year with a total annual funding of $10,000. Applicants are encouraged to apply for and justify only the amount needed to successfully complete their proposed project. Who can apply? Do we have to be associated with a non-profit organization? Yes, applications must be associated with a non-profit organization geared towards pro bono rehabilitation programs in the United States. Licensed therapists, students, and faculty affiliated with a rehabilitation medicine profession (PT, OT, SLP, etc) are encouraged to apply. All applications must be from an organization with non-profit status or have a partnering non-profit organization that serves as a fiduciary agent. What should we consider as we prepare our application? Grants are awarded based on sustainability, innovation, need, appropriate budget justification and estimate, quality of care improvement strategies, and an assessment plan for outcomes and success measures. Applicants must detail how funding will be utilized to improve access to rehabilitation care in their community. What does the most effective and efficient rehabilitation program look like? How can we maximize every single dollar available? How can we ensure we are providing the very best care for our entire population? We are here to help make those dreams and aspirations a possibility! Can someone help us with our application? Mentorship is available to aid in the pursuit of each applicant’s innovation. If you would like to be paired with a mentor, please email us at probonoincubator@movetogether.org. We hope to build relationships, strengthen the pro bono community, and support each program regardless of whether or not the program is able to be funded. "One of the things that I have learned – and continue to be confronted with – is that it is so important, so critical to give people a voice, a position, worth, and meaning. When they participate in my program, they feel seen, they feel heard, and they feel significant...This project is about physical therapy, but it is also about dignity, independence, and living a full life." Ciara Burgi serves as director of Move Together’s Pro Bono Incubator program. A native of Wisconsin, she currently works for Duke University as a full-time physical therapist in the athletics department. She graduated from the University of Wisconsin-Milwaukee in 2009 and earned her Doctorate of Physical Therapy from Duke University in 2014. Ciara completed a sports residency at Houston Methodist Sugar Land in 2015, where she served as a faculty member for the sports, orthopedic, and athletic training residencies from 2015 to 2017. 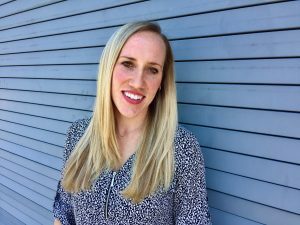 She is Board Certified in Sports and Orthopedics and received her manual therapy fellowship training through the Institute for Athlete Regeneration. She has been published in the British Journal of Sports Medicine and the Journal of Athletic Training. In her spare time, Ciara enjoys traveling, anything outdoors, and all things related to college sports, especially Duke!